In the state of Georgia, we basically have two types of cockroaches. The occasional cockroach commonly known as the water bug or palmetto bug that come indoors from the outside and we also have the indoor infesting cockroach called the German Cockroach. 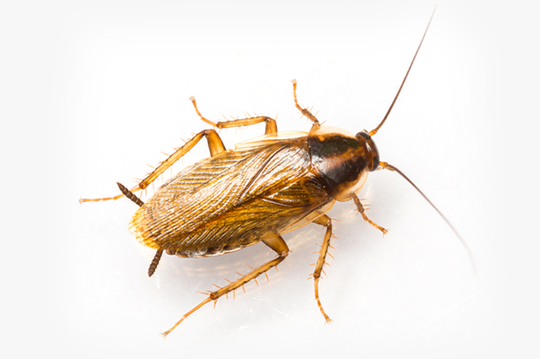 The German Cockroach typically do not live outdoors but mainly infest the indoors. They have to be brought in or carried from another location from which these cockroaches originated. With that in mind, each separate type of cockroach takes two separate type of treatments. German Cockroaches unfortunately are the more difficult of the two to eradicate and generally infest the kitchen area and sometimes the restrooms as well. 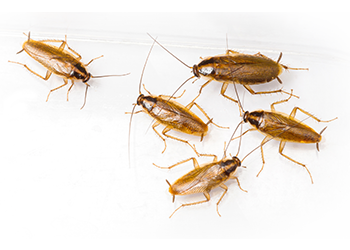 More often than not, the initial treatment for the German Cockroach takes on a more detailed approach with the inspection and treatment which is what we call a “Clean Out Treatment”. This initial treatment requires the customer to remove all items such as dishes, silverware, food items from all cabinets, (top and bottom) drawers, and pantries. This will provide your technician good accessibility to give a thorough treatment within the infested areas without worries of contamination and help knock down the population. From this point moving forward, we suggest a monthly baiting treatment. (This baiting treatment does not require the customer to remove all items again from the cabinets and drawers). Over time our baits will harden and the cockroaches will not feed on them if our treatments are prolonged more than a month between so a monthly baiting process is highly suggested. This initial treatment requires a little more attention with timeliness, product usage, and special equipment to provide the best thorough treatment possible.